Hello Robyn, can you tell us a little about yourself? Hi, I'm Robyn and I'm the newest freebie hunter at Magic Freebies. As a self-confessed dogaholic, my speciality is finding freebies for our furry friends. I've also never been known to say no to a beauty bargain! What is your role at Magic Freebies? 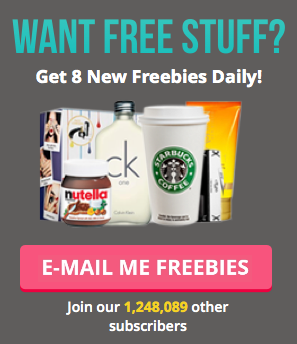 As a Content Editor, it's my job to hunt down the best freebies on the web and to get them in front of our lovely subscribers as soon as possible. That means sharing my finds on our website, in our WhatsApp group and on our Facebook page. You can also follow me on Twitter (@RobynsFreeFinds) for even more free stuff news. What is your favourite part of freebie hunting? Finding a brand new freebie that I know everyone is going to love is always really exciting but my absolute favourite part of freebie hunting is seeing our subscribers showing off their freebie hauls on our special Facebook group. It's great to know that we've helped someone save a little cash or enjoy a treat that they never would have bought for themselves at full price! What is the best freebie you've ever received? I think the best freebies are actually the ones that help you find a product that you really like. So much money can be thrown away on buying and trying things that end up not doing the job and the great thing about freebies and samples is that the companies giving them away have to be pretty confident in their product to offer it up for free! I recently received 6kg of Nature's Menu dog food for my pups and they loved it. I saved £30 and I found a new food that my canine overlords enjoyed without wasting a penny. What is your kryptonite when it comes to spending? My cash-consuming kryptonite would have to be a close tie between clothes for me and toys and treats for my greyhounds Winnie and Hope. Since I've become a master freebie hunter, I find I'm spending less money on myself. I'd say that's because I'm always receiving lots of fun little goodies in the post, which never fail to make me feel very spoiled and lucky. I still spend too much on the pups but hey, it's not their fault I got a new job! Do you have any top tips for new freebie finders? Make sure that you follow all of your favourite brands on social media to hear about their giveaways and enter every competition that interests you. Of course, you won't get everything that you apply for but if you spread your net wide enough you'll start to see the freebies rolling in before too long! Thanks Robyn, we look forward to your finds!